Hello ... Hello ... my old friends ... It's great to see you once again! 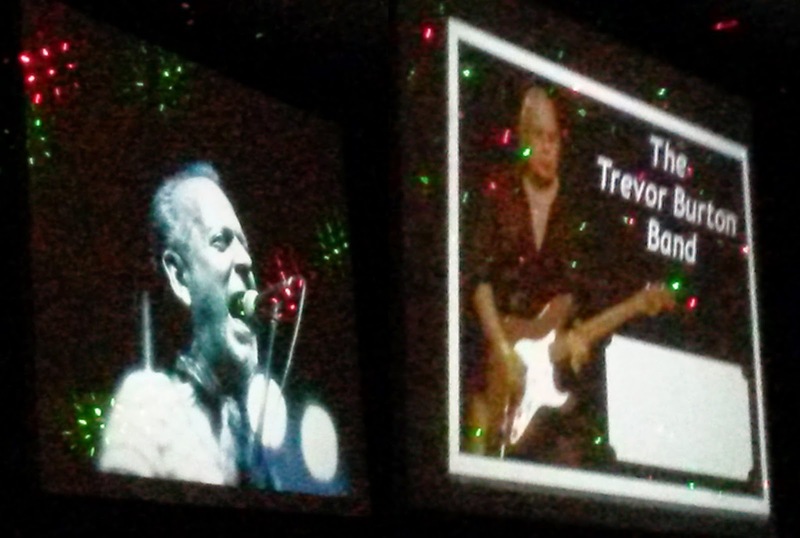 The final ELOBF gig of 2014 was always going to have to be the rather cleverly titled Trevor Burton Christmas Show at The Roadhouse in Birmingham. Not only was it a time to see one of my fave personalities and musicians again [with his rather brilliant troupe], it was also another chance to see our friends Mods & Sods as well as a long overdue opportunity to [finally] get to see Suzi & The Backbeats up close and personal. After more than a few recommendations, it was great seeing and hearing Suzi & The Backbeats for the first time as they wowed the busy venue with their set. With blues, rock and funk entwined, they were really impressive. Their cover of "Come Together" really caught my eye on the night with Suzi's superb vocals ably supported by one of the tightest bands I've seen before their set was closed out by the rather romantic marriage proposal by Suzi to her now-to-be-husband [and Backbeats drummer] Oliver! Mods & Sods were, as usual, quite brilliant as they delivered an electrifying performance of classics by The Kinks, The Who, The Small Faces, The Rolling Stones, The Beatles and another cracking version of the Elvis Costello classic: "Pump It Up". They were joined - seamlessly and superbly - on stage for the very first time by saxophonist John Battrum, who is a member of both King Pleasure and The Biscuit Boys and is also, of course, a vital cog in The Roy Wood Rock 'n' Roll Band. And what of The Trevor Burton Band? A jolly and festive Trevor was on top form as his tried and trusted band rocked The Roadhouse with a selection of songs including [my favourite!] a superb "Werewolves Of London", another epic version of "Hey Joe" and a fantastic "Dear Mr. Fantasy". This was a clean performance with fellow band members Pez Connor, Bill Jefferson and 'Movette' Abby Brant all on top form. This has been an immense year for this co-founder of The Move performing regularly - locally and nationally - in his various projects. However, it is clear from Trevor's relaxed nature on stage, that his heart lies with the band which proudly bears his name. Never was this more evident than when Trevor joyfully invited former band member - the amazing guitarist who is Maz Mitrenko - to join the latest line-up for a few numbers. Ever the more adaptable, the band accommodated Suzi from her Backbeats for another amazing rendition of "Hey Joe" before the rockabilly tinged encore. Make no mistake about it, this was a fantastic gig. 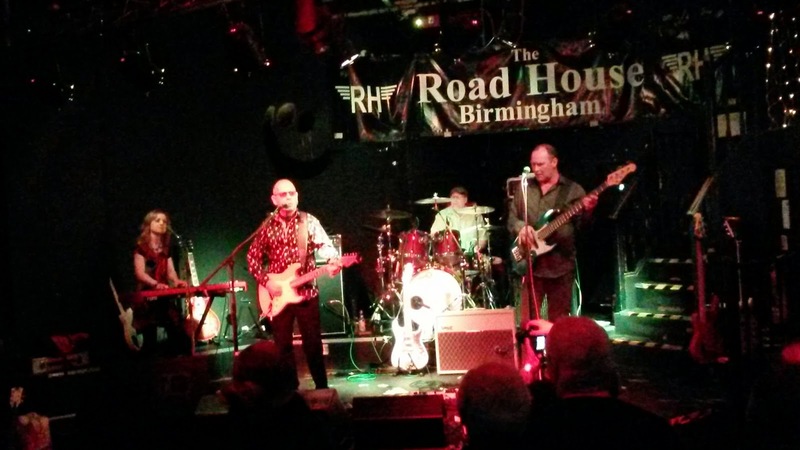 We look forward to seeing and hearing what Trevor Burton and his Band will get up to later in 2015 - including a celebration of his '50 Years On The Road' celebration on Sunday 8th March back at The Roadhouse.